F1 drivers aren't respected merely for excelling in what is the world's most expensive sport, one that also constantly flirts with mortal danger. F1 drivers are respected for possessing a sense of keenness to excel in a format where just about anything can go wrong, the sport embedded in a template of uncertainty. And in that regard, it may not be untrue to remark that it is for their ability to mix speed with danger, keeping their craft exceedingly high at all times is why Formula 1 drivers are so admired. Over the course of the several past decades, we've seen everyone for Fangio to Schumacher, Senna to Hamilton arrest the fans with regards to their ability to go all out, to push the limits of the canvass in their bid to win. Yet, there's something more than just winning that keeps us fans on our feet when it comes to admiring racing drivers- isn't it? We remember Schumacher for his fantastic achievements that ultimately lifted the bar of the competition. We regard Prost and Senna for their individual brilliance, and for raising the nature of the sport from the perspective of intense rivalry. Hunt is remembered for his daredevilry. 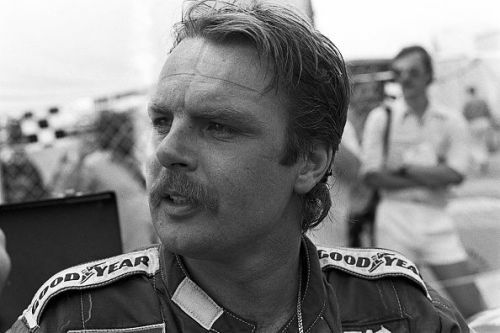 So, it might be asked, on the same lines, what is about Keke Rosberg that draws the fan? A common saying about Finnish drivers goes as follows: There are drivers and then there are Finnish racing drivers. Keke Rosberg is still respected for catapulting Finland to the attention of the world for excelling in the theatre of Grand Prix racing. He was the original 'Flying Finn,' someone who wasn't bothered by the competition he was up against, someone who always tried to raise the bar of a contest. The 1982 World Champion is regarded for being a stylish racing driver, who was as quick inside a Grand Prix car as he was in his ability to generate the attention from F1 fans, who admired him for his charm and racing talent. As the famous Rosberg, dad to the 2016 Formula 1 World Champion Nico Rosberg turns 70, we rewind back to some of Keke's top F1 moments. Modern racing fans might actually find it hard to fathom that Argentina too was once a part of the F1 roster. Back in the 1980 Formula season, Keke, Sweden-born Finnish racing driver secured his maiden F1 podium at Argentina. In the Argentine Grand Prix, held at the Autodromo Municipal Ciudad de Buenos Aires, Keke grabbed a P3. This was a fighting effort in his (Emmerson) Fittipaldi Ford, a feat for which he had to compete with some of the biggest names in F1: Alan Jones and Nelson Piquet. What's most interesting is the fact that during the qualifying run of the Argentine Grand Prix, neither of the Ford drivers- Keke and his teammate, Fittipaldi- were able to park their cars inside top ten. Rosberg had managed only a lowly P13. In the Grand Prix, however, he managed to produce a stable, watchful drive, especially on a track labelled 'threatening' according to a few participants- especially in the challenging corners- who even considered boycotting the race.